Can you believe that Thanksgiving is next week? November sure is flying! I always love Thanksgiving week. The work week is short, the food is good, and there are tons of sales! 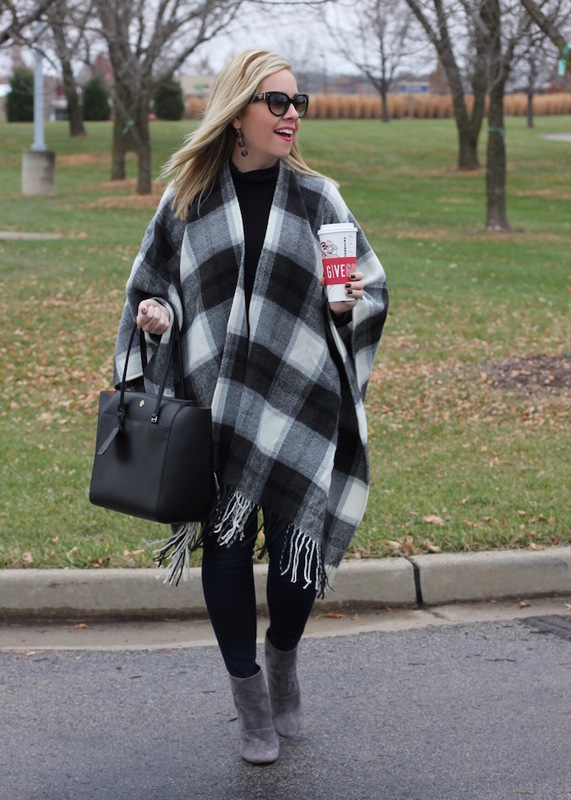 This poncho is the perfect check! I love a good black and white look! Super cute Fall look, love the poncho. Ponchos are some of my favorite pieces this season! This one is so cute! Your plaid poncho looks so cozy - I need to start pulling mine out because it's getting COLD! Simply wish to say your article is as amazing. The clearness in your post is simply nice and i could assume you're an expert on this subject. Fine with your permission allow me to grab your RSS feed to keep up to date with forthcoming post. Thanks a million and please keep up the gratifying work.